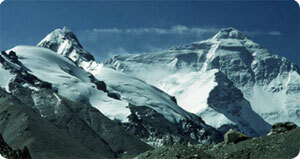 Tibet trekking is one of the most popular adventure activities in Tibet. Tibet is a rich and beautiful land with an average altitude over 4,000m (13,120ft) above sea level. Possessing more than fifty peaks above7,000m. Tibet is home to eleven Himalayan mountains over 8,000m and China , India , Nepal , Sikkim , Bhutan , Burma , Kashmir all border Tibet . Over two million people inhabit this land of rich natural resources and ancient cultures. Tibet trekking tour offers a spectacular insight into the life and culture of these friendly people - from the ancient monasteries with chanting monks, to the tranquil shores of the Potala palace coupled with the breathtaking Trans-Himalayan flight from Kathmandu to Lhasa, Drive in from kodari, Trekking from simikot to lhasa Kailash , from Beijing –Chengdu – Lhasa. Himalaya Journey Trekking and Expedition , Nepal arrange Tibet trekking from all boarders for all kind of trekking tour in Tibet. Simikot Kailash trekking, Guge kingdom trekking, Tibet Everest base camp trekking, Nam Tso Lake trekking , Dharma lake trekking, Kharta valley trekking, Khansung valley trekking, Kham valley trekking, Kailash kora trekking , Dharma Yung tso trekking are major trekking trail in Tibet. Trekking in Tibet offers wide range of Himalayan scenery , Lush valleys, beautiful landscape, monasteries , Tibetan people and their warm hospitality. Since Tibet has been open Himalaya Journey Treks & Expedition has depth experience to operate all trekking tour in Tibet with local Tibetan guide with Nepalese staff. HJT expert trekking cook will cook all type meals entire trekking in Tibet. April to October is the best season for Tibet trekking tour but Himalaya journey Trekking professional operate Tibet trekking according to clients holiday duration and desire.